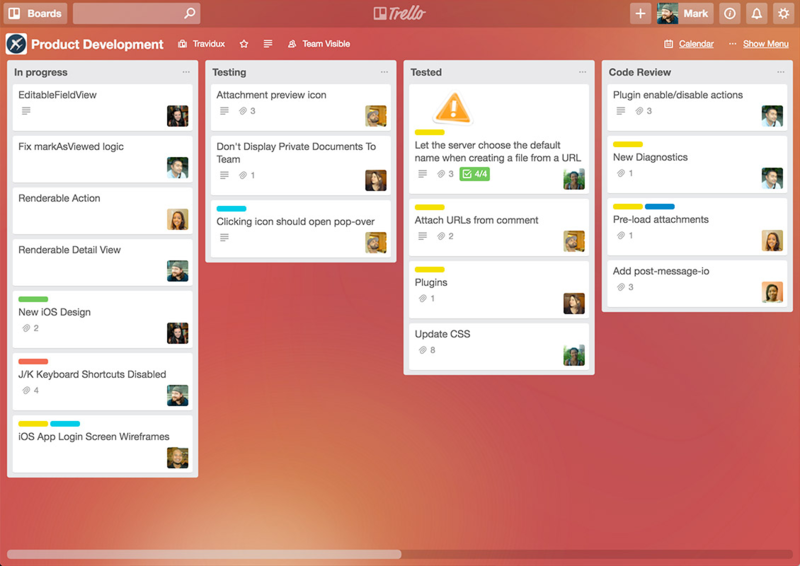 Trello is a popular “web-based project management application” that was originally created back in 2011 by Fog Creek Software. It offers an intuitive design and some serious flexibility for businesses of all sizes and industries and is a great choice for entrepreneurs and business owners looking for a cost-effective solution to help streamline their workflow processes and boost productivity. And when we say cost-effective, we mean it — because Trello’s base plan for project management is absolutely free. With tons of flexible features and awesome third-party integrations available at your fingertips, it’s no wonder why Reviews.com called the free version of Trello’s software “the most generous on the market” and the “Best Free Project Management Software” of 2018. This platform is particularly great for individual entrepreneurs and small business teams due to it’s simple, intuitive, user-friendly design. The first thing individuals will notices that sets this platform apart from the others is the fact that it puts no limit on the number of projects, users or tasks. The second thing that you’re going to love is that the platform offers a ton of awesome templates that are tailored to certain types of projects. 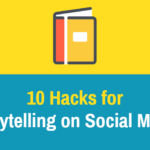 This is great for those of us who tend to get a little overwhelmed with features and possibilities. 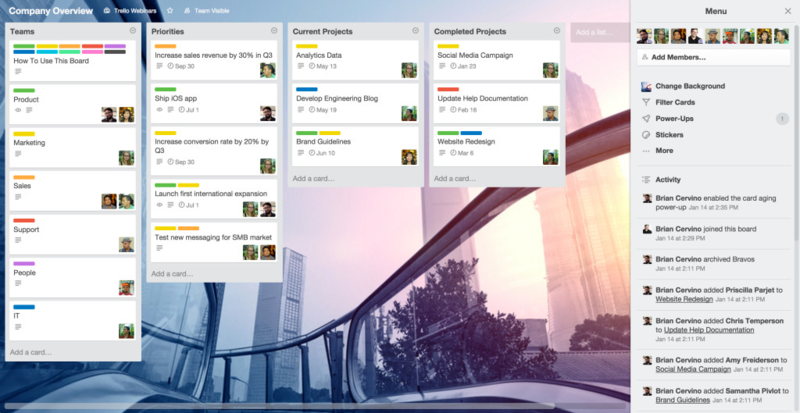 Trello breaks projects down into boards, similar in theory to those of the popular social media app Pinterest, and it breaks down various tasks into simple, straightforward phases. Time-sensitive tasks can be marked with a due date and time and when completed, it’s as simple as dragging and dropping it onto the next phase of your board. Did we mention it offers a desktop app for both Macs and PCs as well as an awesome mobile app for managing operations on-the-go? Even better? These apps are extremely well-reviewed, with both receiving a score of 4.5 out of 5 stars or higher based on tens of thousands of reviews. 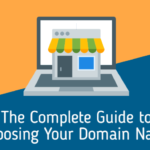 Well, based on research we’ve found that while the platform does offer a ton of useful integrations, it’s not quite up to par with other more costly options. However, this isn’t necessarily a downside for every company due to the fact that the most common integrations for project management software are included (i.e. 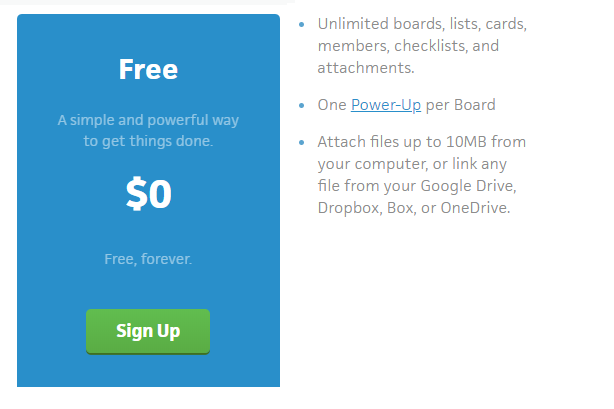 syncing with Google Docs, One Drive or Dropbox). Another downside to the platform is that if you’re using the free version of the software, then you’re going to have to opt out of the calendar view feature and remain satisfied with one “Power-Up” (aka integration) per board and a 10MB size limit on files. When it comes to pricing, the platform remains a top competitor in the project management software arena, and not just because their base plan is free. Individuals opting in for the Business Class plan gain access to app integrations, team overviews, unlimited Power-Ups, and additional security. It also gives users priority email support with a guaranteed response time of 24hrs and the ability to spice up their boards by adding custom backgrounds and stickers. An important feature not to overlook is the ability to keep company information private with restricted membership invitations. Individuals can restrict access to anything from a specific card/task, list or even an entire board. All of this and for no more than $9.99. The enterprise version of the software is available to small and large businesses alike and features tiered pricing, unlike the Business Class plan. If you run a small business that has anywhere between 100 and 300 employees, then you’re looking at a price of $20.83 per user/month. Larger organizations can rest assured that their entire budget won’t go to project management thanks to the platforms flexible rates. Enterprises with 1,000+ employees only have to shell out $4.17 per person/month in the event they opt for an annual plan. 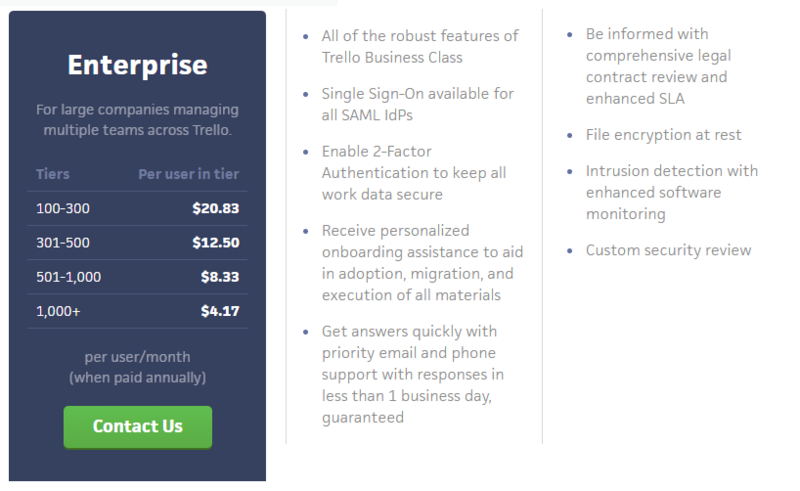 This price includes all of the awesome features of Trello Business Class as well as 2-factor authentication, a custom security review, intrusion detection with enhanced monitoring and personalized onboarding assistance. 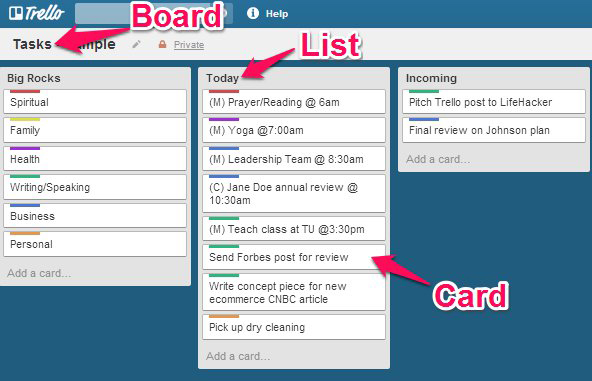 If you’re interested in using Trello to boost productivity, then you’re looking in the right direction. Trello’s simple interface and flexible design makes it easy for business owners and individuals alike to organize, prioritize and keep track of everything from projects and tasks to meetings and agendas. Just take a quick glance at the above image to get an idea on how entrepreneur and best-selling author Tim Ferris enhances his workflow processes with Trello. 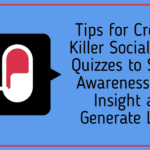 What’s great about the platform is whether you’re a “big picture” kind of thinker or a “devil in the details” kind of individual, the platform makes it easy for you to organize everything into an easily digestible visual format. So, what about the designers and “creativepreneurs”? 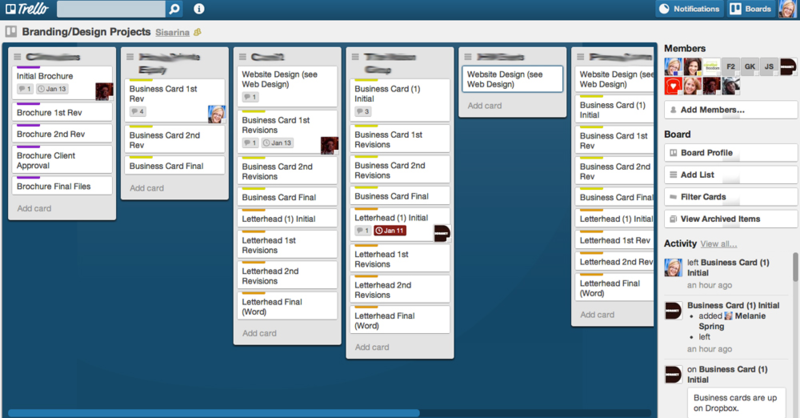 Well, lucky for you Trello is a great option for organizing everything from content schedules to branding and design projects. Organize projects in a visually friendly manner, attach images and files for reference and tag individuals on your team to particular tasks and boards. Whether it’s a design sprint that you’re working on and need to organize into phases or a creative project for your newest client that needs to go through several review processes before completion, the platform can help you get it organized and completed in the most efficient manner possible. Let’s say you’re an Saas startup and you’re looking to organize your product development processes to help increase efficiency, accountability and effectiveness. Trello can help you assign certain tasks to various individuals on your team and keep track of product phases and deadlines. You’re also able to color code cards for those looking for a quicker way to visually scan progress at a glance. If you’re interested in organizing your sales pipeline with Trello, the platform makes it unbelievably simple. Lists can be created to keep track of lead information, scoring and status and team members can be assigned to various cards (aka leads in this particular example). Move cards down your pipeline, assign due dates for tasks for your clients, attach relevant documents and keep track of where your leads are in your sales sales or CRM pipelines all in one convenient screen. Sometimes we all just need help getting our work schedules and to-do lists organized. Keep track of your daily tasks, categorize them by list and assign due dates and times for completion in order to ensure that you stay on top of your work. Or, if you’re looking to be a bit more strategic in your approach, organize boards as different aspects of your marketing strategy. For example, the above board reflects the individual’s personal branding strategy and helps them keep track of progress being made. On the right side you will find the Menu, which lists activity on the board. It also gives you the option to filter cards and add stickers. We’ve clicked on the “More…” option to reveal a secondary list where you can adjust your settings, add labels, create collections, archive items print and export cards and boards or pull the URL for sharing with others. 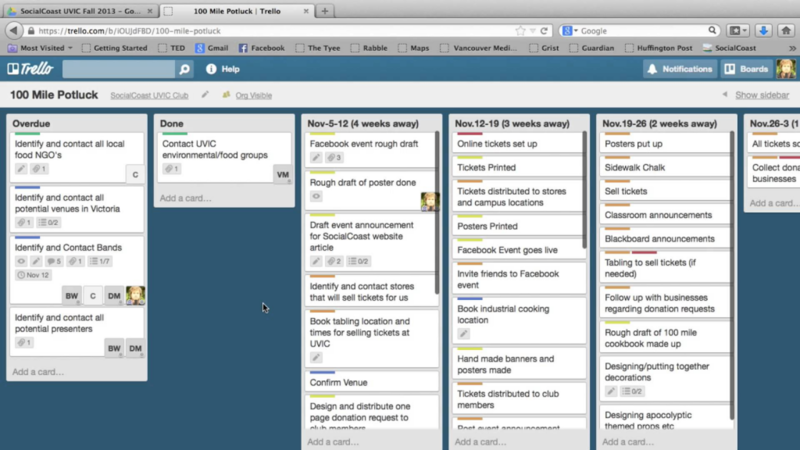 Trello makes it easy to organize business operations at a glance. This particular individual has made use of the background image feature as well for adde personalization. As you can see above, lists can be made into anything from teams, with individual cards reflecting each department, to priorities and projects. The user has also attached varioust team members to cards and color coded them for easy review. Furthermore, you’ll notice on the right-hand side there is a menu which reflects the most recent activity on the board including the user’s information, what actions were taken and the time and date which they were completed. If you have an upgraded option you will notice additional features on the menu such as the ability to change the background or integrate with third-party apps (aka “Power-Ups”). For example, one of the Power-Ups includes a detailed calendar view. Another gives you the ability to link your Google Drive to the platform so that you’re able to create, store and manage documents and media effectively. Trello is also a great option for event planning, whether you’re an event planner by profession or a company employee organizing the annual potluck celebration. 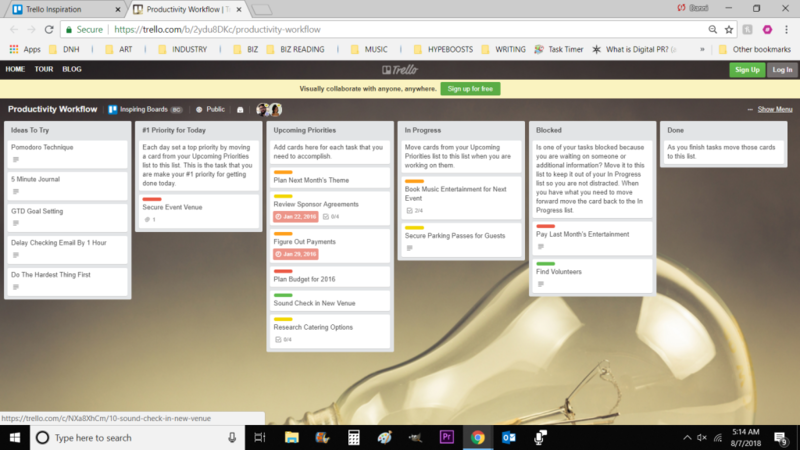 As you can see in the image above, the individual has created a board for a special event and created lists to help keep track of deadlines, the status of tasks and dates. board listed as being visible to the rest of the company. When you purchase an upgraded version of the software, you’re able to restrict access to everything from certain tasks, to cards or entire boards. So there you have it! 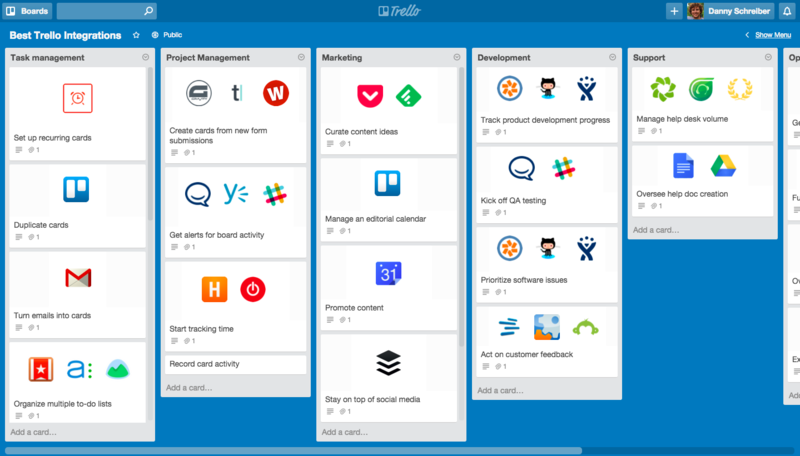 Everything you need to know about the immensely popular and insanely cost-effective project management platform that is Trello. 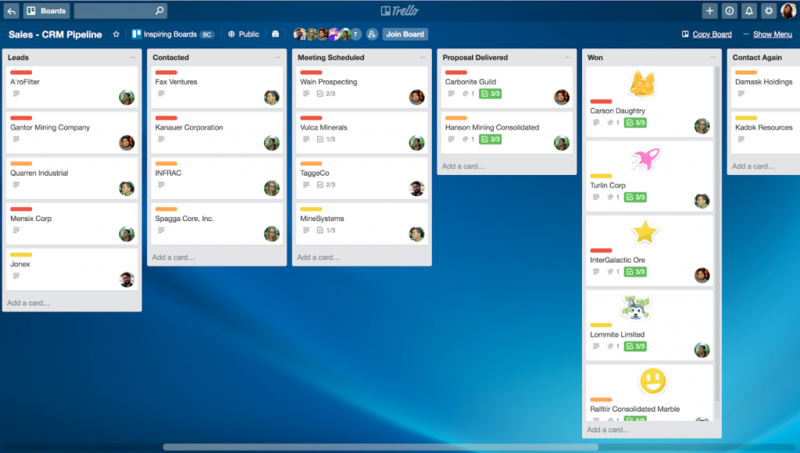 If you’re a business owner looking to optimize their workflow processes and boost productivity, then a simple, intuitive platform such as Trello is the perfect option for you to get the job done. 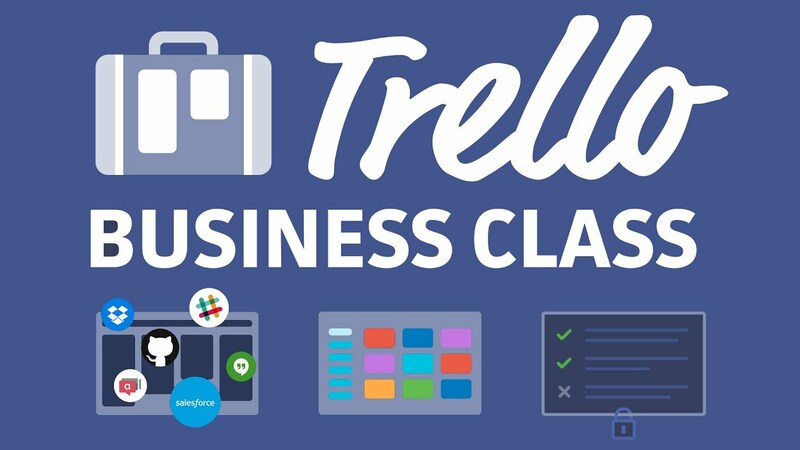 Have you used Trello for your business? What were your thoughts on the platform? Let us know in the comments below! We’d love to hear from you!